Does your living room need a central focal point for your decor? 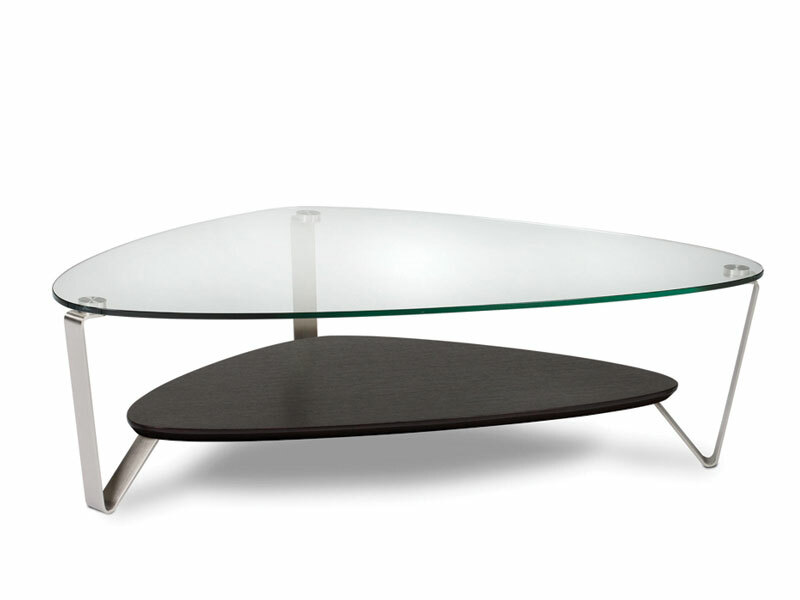 Coffee tables are used for more than just setting down your drink. 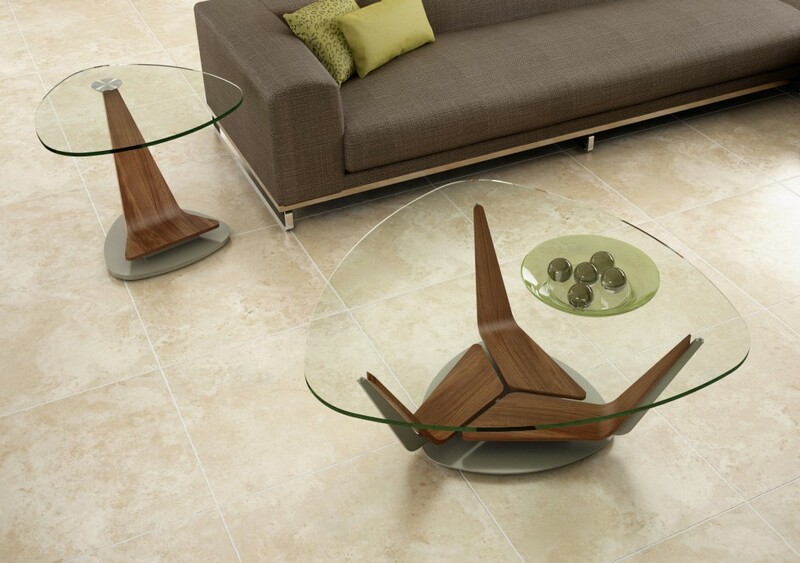 They serve the useful purpose of allowing your living room decor to merge together at a central focal point. Vizion Furniture’s selection of coffee tables represent the very best high quality modern Scandinavian designs. 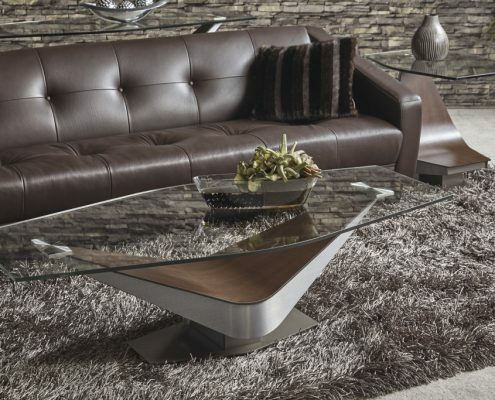 We offer the best selection of coffee tables in Las Vegas and guarantee you will be pleased with the beauty and craftsmanship of your purchase. 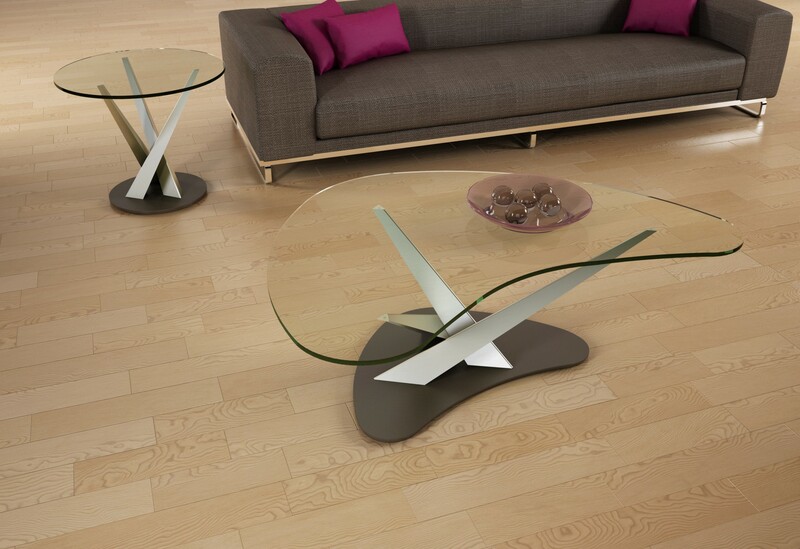 The Dino has a soft triangular shape glass top. The shelf is available in gloss white, espresso, chocolate and natural walnut color. 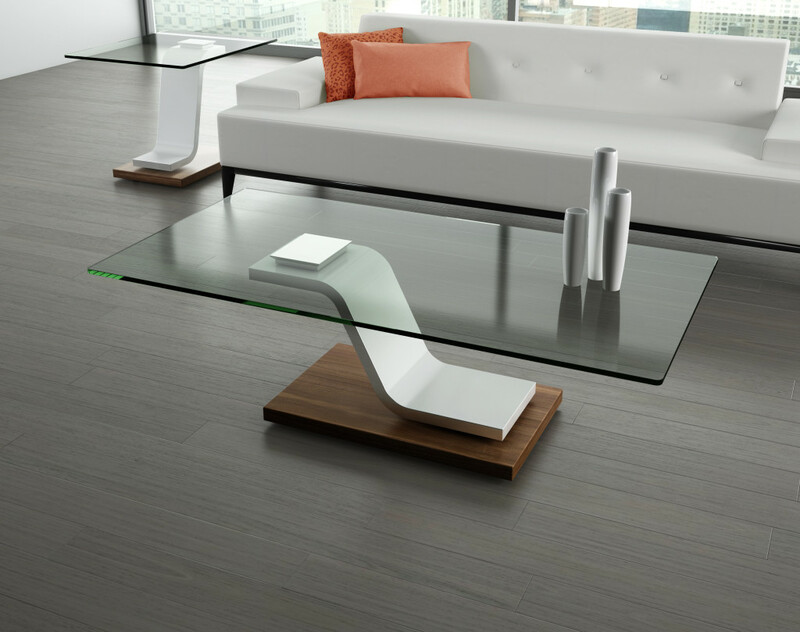 The glass top appear to float above the wood base. The lower shelf will hold magazines, remotes etc. Natural walnut shown, but also available in espresso color. 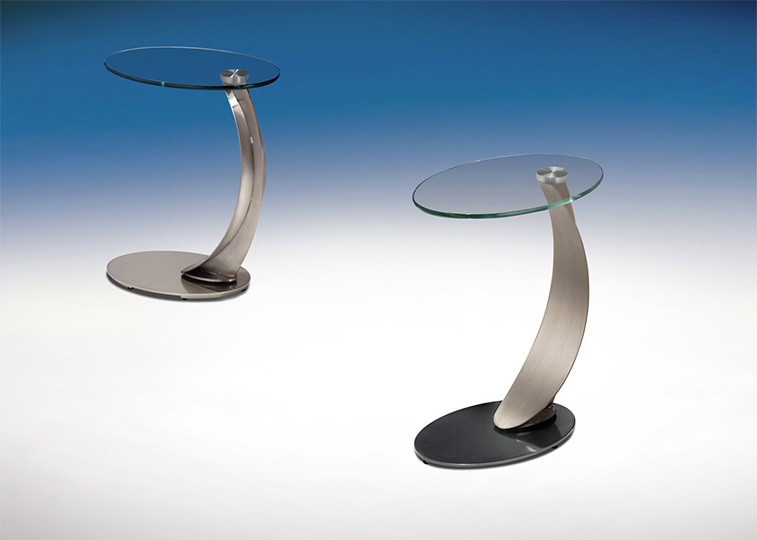 Elegant and highly functional accent table. Base plate available in different colors. 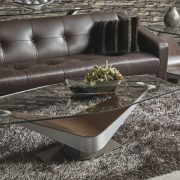 The kidney shaped Crystal coffee table fits perfectly in front of sectionals that are curved. Different colors available on both the columns and the base. 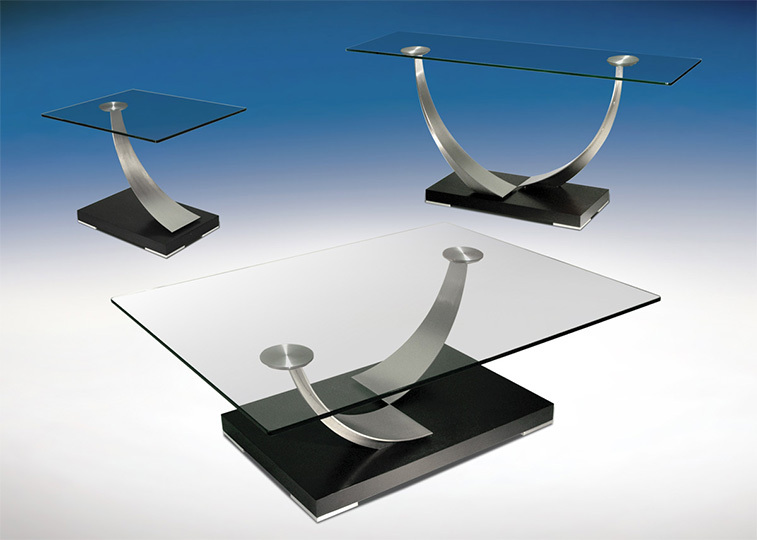 The Fusion is a sculptural statement with its steel ovals. 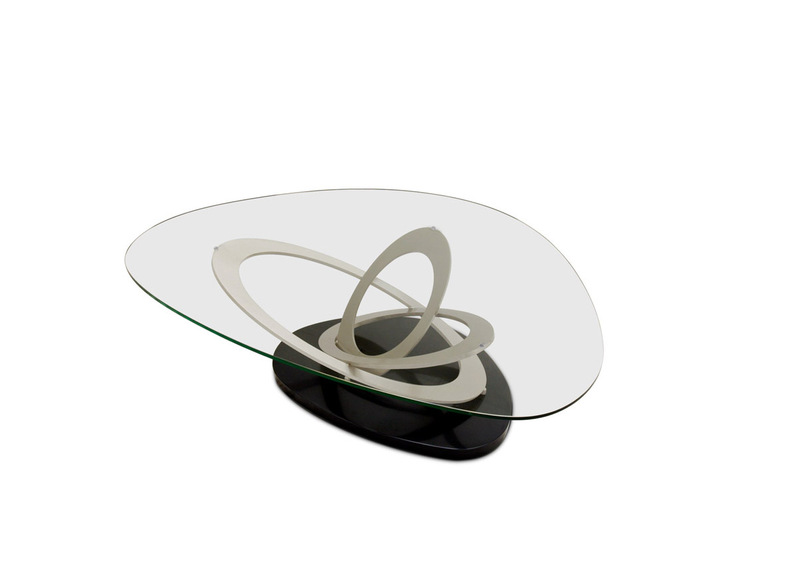 The base is available in different colors but the steel ovals only in Champagne finish. 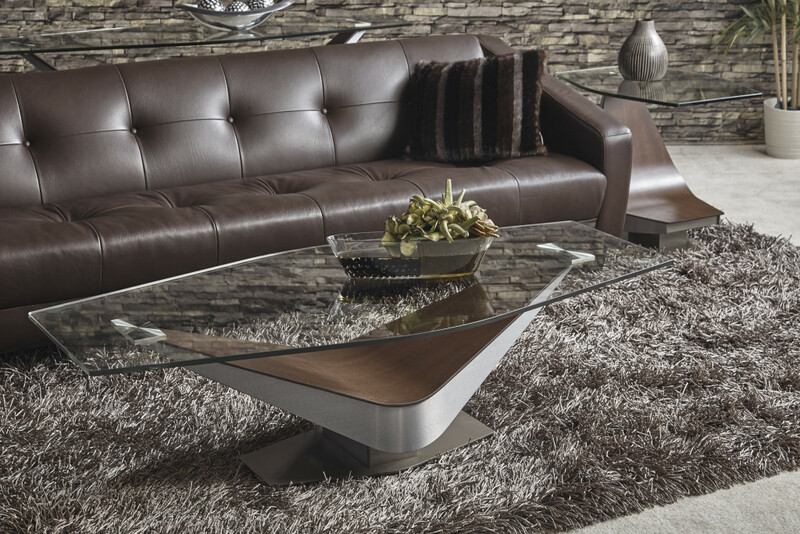 The Champagne plated arches makes for an impressive coffee table. The base color is available in 5 finishes. 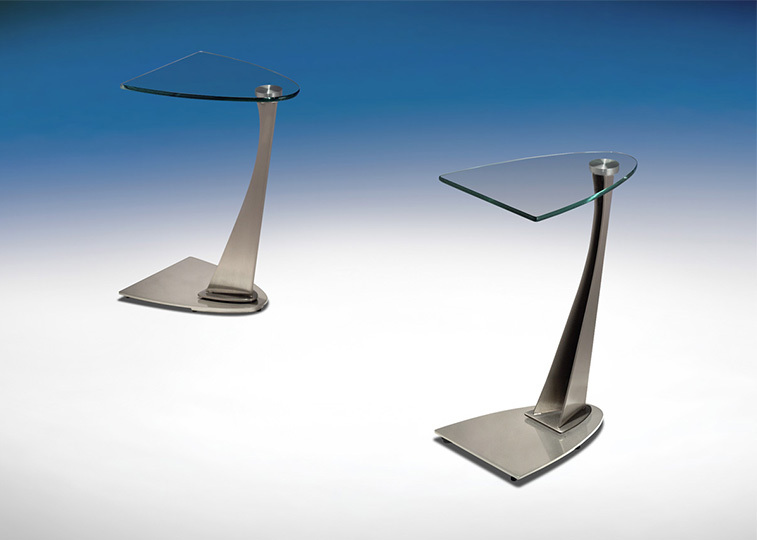 The sleek upturned arms makes for a dynamic triangular symmetry. Different colors available. The Victor is a tapered chevron shaped body available in different colors. Volo is Italian for “flight”. 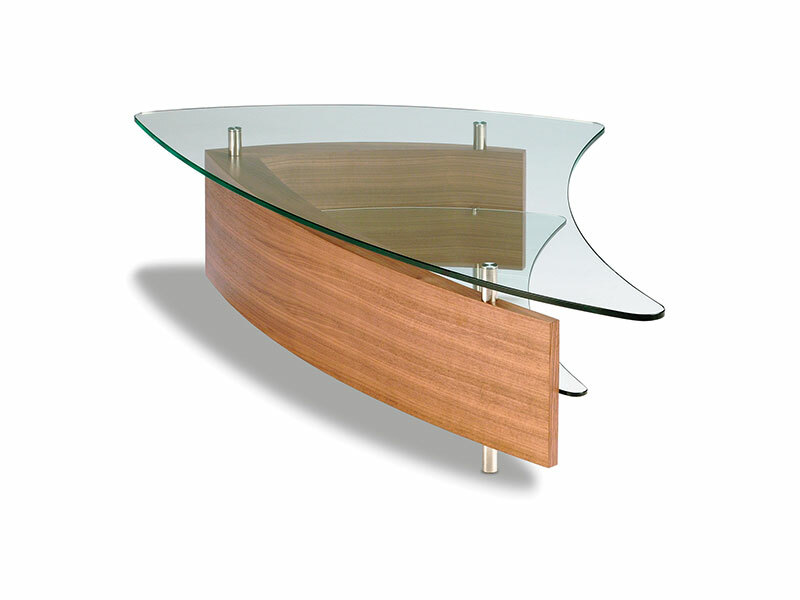 Contoured stainless steel body with the base made of walnut veneer and the base is available in 5 different colors. 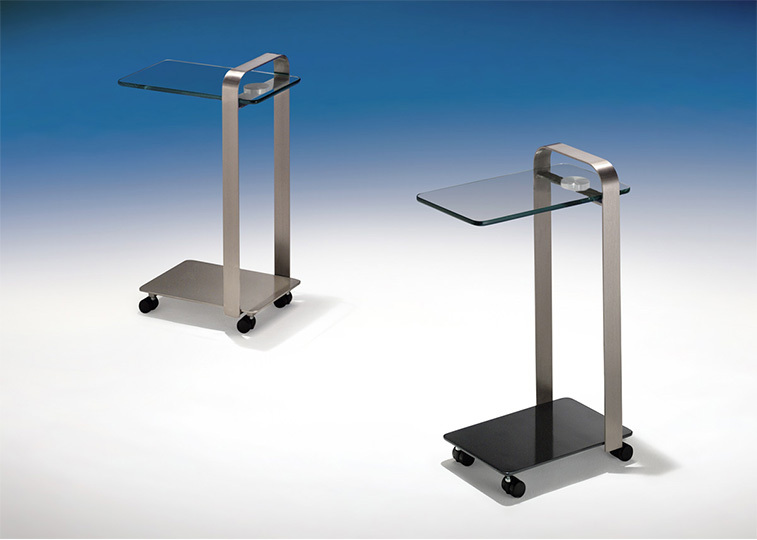 Cantilevered glass top strong enough to hold a tablet or laptop computer. Base plate available in different colors.